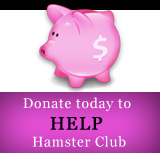 Hamster Club :: Hamster Club on Radio again! 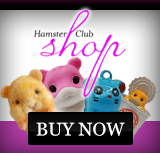 Hamster Club on Radio again! Hamster ClubHamster Club Malta received an invite from the National Maltese Radio to be the host in a very popular programme. Thus, on 21st March 2010, Nadia Vella represented Hamster Club Malta on the official Malta radio in a programme named �Int u Jien� (the programme�s name means �You and Me�). Mr. Tony Micallef presents this programme.Nadia Vella, obo Hamster Club Malta gave Mr. Tony Micallef a free copy of our hamster guide book. 'Int u Jien' programme is in Maltese. Mainly this programme outlined some general information about our hamster club and our hamster book.The information that was given was about how and when our hamster club was formed, some general tips what one should do before bringing a new hamster home, the different types of hamsters, general hamster information about the possibility of hamster potty training and some information about our hamster book.